Last week we baked gingerbread and made icing so this week it is time to put it all together. In this final entry of my gingerbread house series I will explain the basic technique of assembling your gingerbread house and then show you some of the different things I did to make my flaming creation. 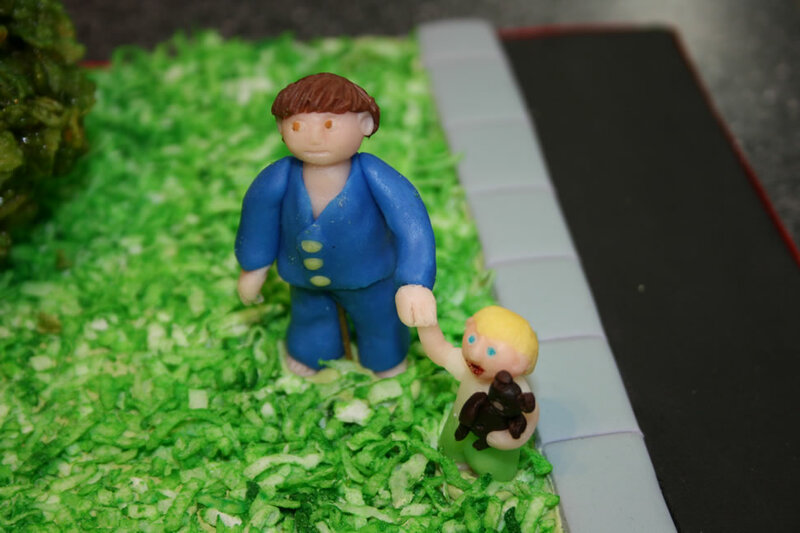 Before you even start baking, you have to have a plan and a pattern to work with. There are lots of premade plans out there. 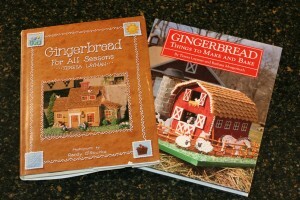 You can search the internet for gingerbread house plans or you can get one from one of the many books on the market. 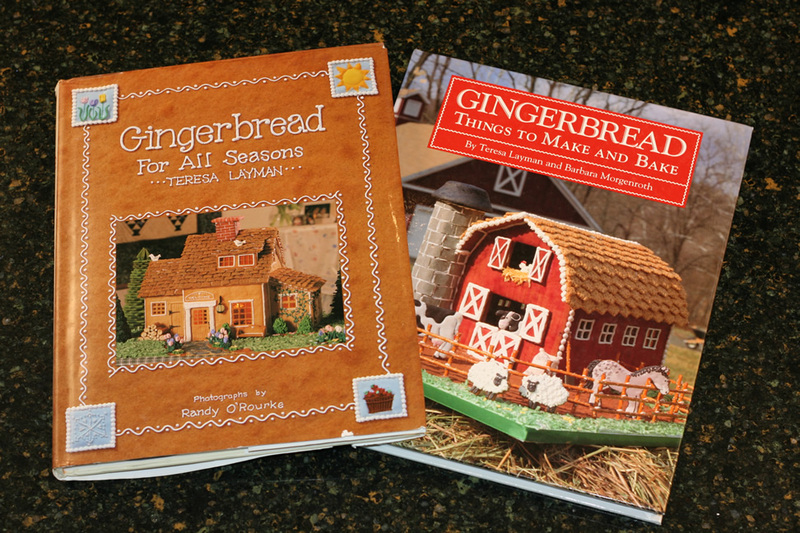 My absolute favorite gingerbread books are the ones written by Teresa Layman . Her books have some of the cutest houses I have even seen in them. 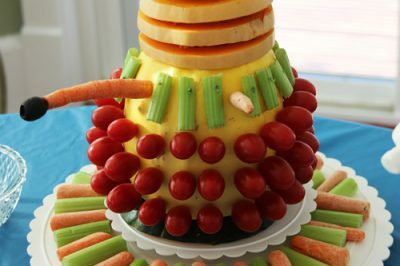 They include plans for every house, instructions and a list of all the candy you will need. Many of my first houses were from her books. 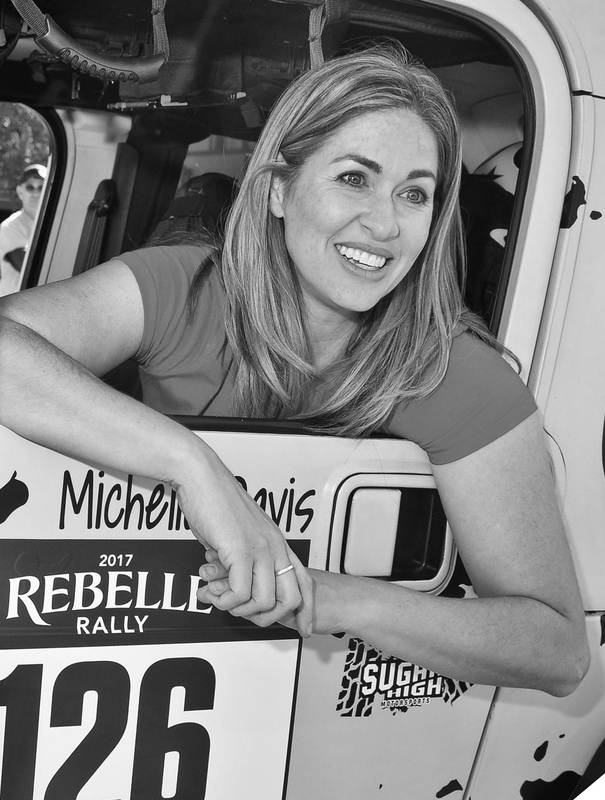 If you are adventurous and want to create your own plan then go for it! I first sketch out my idea on paper then I go to a website like www.houseplans.com to find a house plan that is similar to what I am thinking. Once I know the dimensions I need for my walls I either draw them out on foamboard or copy them out of a book (if I am using a premade pattern) and then trace it on to the foamboard. I then cut all my foamboard pieces out. You can use an X-acto knife to do this or, if you like power tools like I do, you can use a scroll saw. 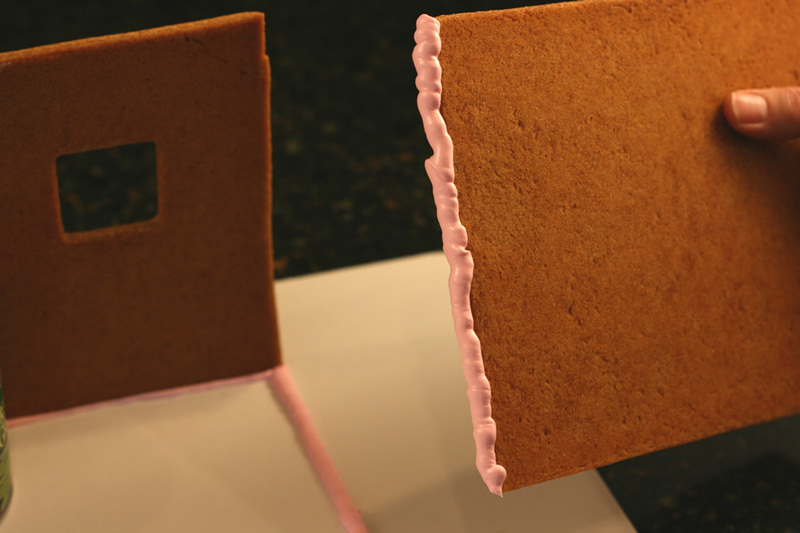 The great thing about foamboard is that it is similar thickness to your gingerbread so you can use it to make a model and make sure everything is going to fit together. 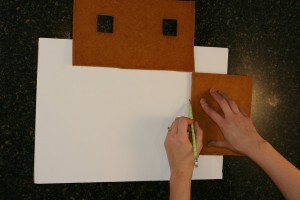 You can then use these pieces as your patterns when you are cutting out your gingerbread. 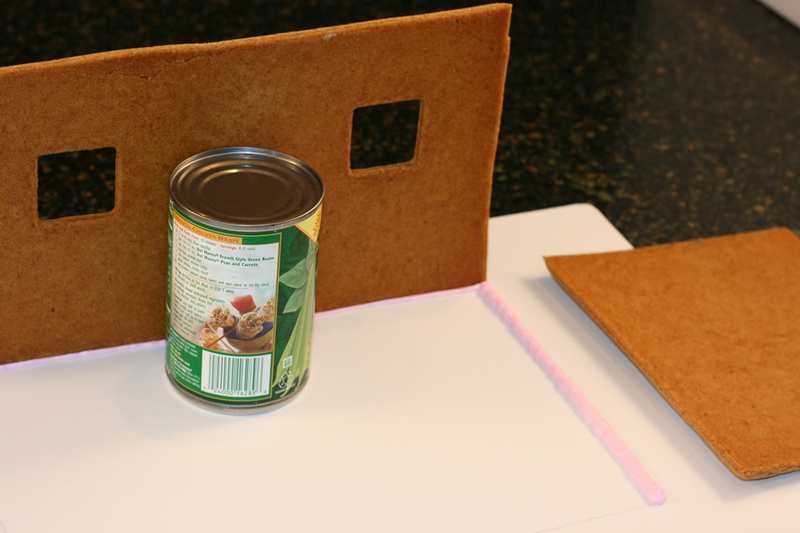 For baking gingerbread and making construction icing, see last week’s blog. Once you have all your pieces baked and completely cooled it is time for assembly. Figure out what type of board you are going to put your house on. I usually use plywood but if you are doing something simple, without any electrical components, you can use a cake board. You can also cover your board with foil or wrapping paper but I don’t personally like to do this because I feel like you have less chance of movement if you adhere it directly to the board. If you aren’t planning on transporting your house, though, that probably isn’t an issue for you. The first thing I do is lay my pieces down so that their bottom edges are in the position they will be placed on the board. This makes sure that I have the house where I want it. (For these sample pictures I only had two pieces of gingerbread so you will not see all four walls in the picture.) I then use a pencil to make a mark on the board so I know where to place my icing. Keep in mind that the bottoms of your side walls will come in just a little bit so that their side edges can attach to the front pieces. I then use a decorating bag, fitted with a #6 tip, to pipe a line of icing and set my first wall in it. I don’t normally use pink icing but, for the sake of pictures, I wanted you to be able to see the icing against the white base board. I use cans to keep the wall in place. Next I pipe a row of icing for my side wall on the board and then pipe another row of icing down the length of the side edge and attach it to the first wall. Once the two walls are in place they usually hold themselves up pretty well but I place more cans close to the wall just in case. 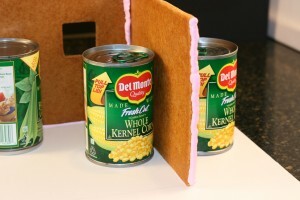 I put the cans very close so that they can catch the wall if it starts to fall but far enough out so that they don’t get stuck to the icing. I then do the other side wall the same way. Finally, I pipe icing on both the exposed edges of the side walls and on the board for the bottom of the final wall. I put the final wall in place and then let everything dry overnight. 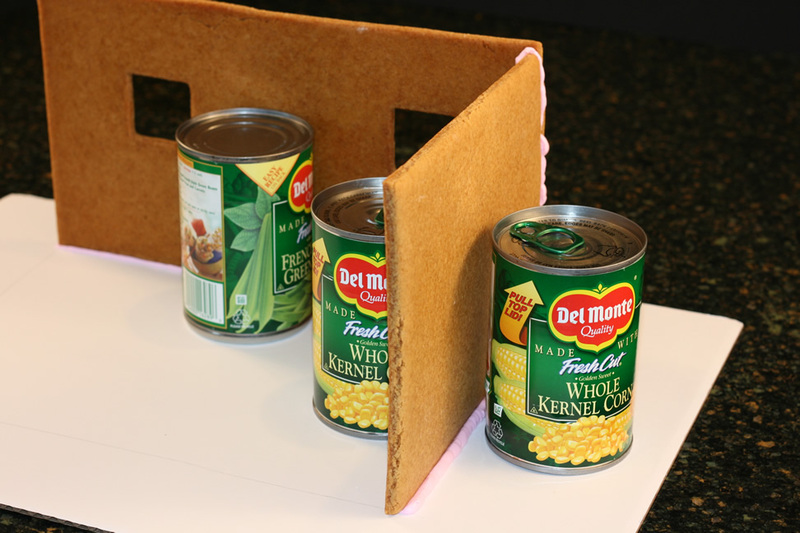 You want your walls dry enough so that they will be sturdy when you attach your roof. The next day I put the roof on. In these pictures I used to rectangle pieces for the sample but often your side walls will have peaks on them so that you can support your roof pieces. 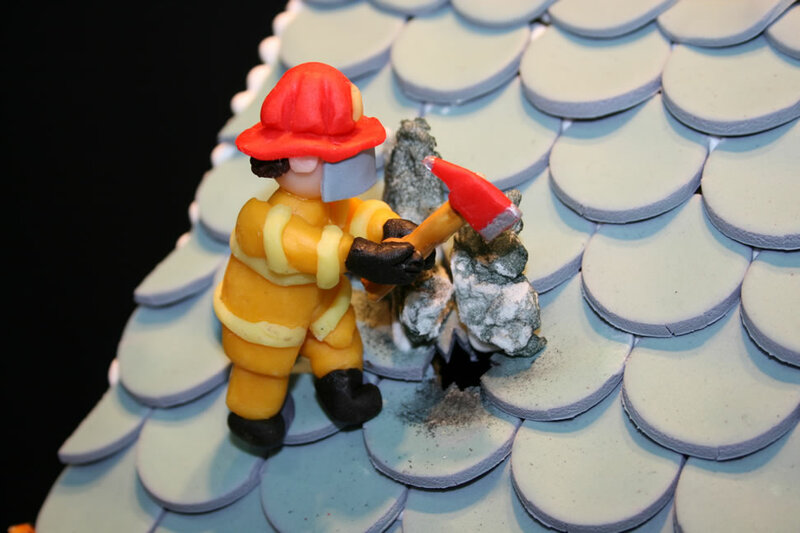 You want to start by piping icing on the top edges of your back wall and up the back sides of the peaks on your two side walls. You can then attach your first roof piece. 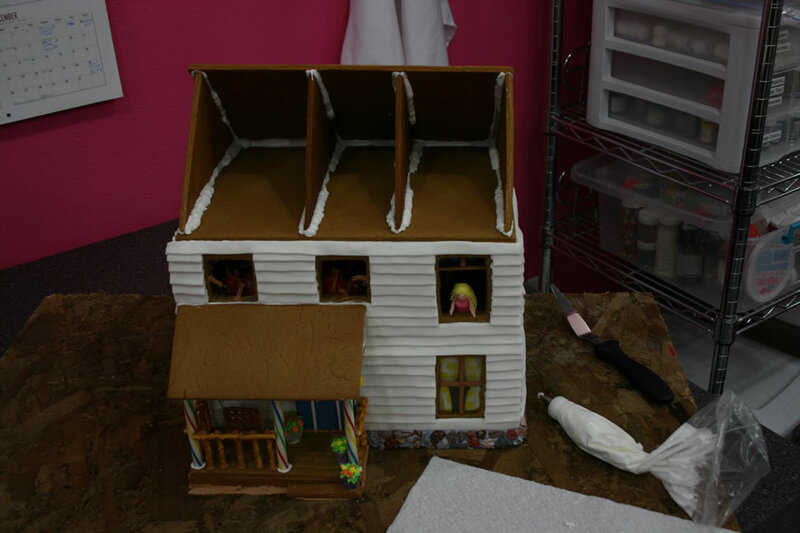 After that you will do the same thing on your front side also adding a line of icing on the exposed edge on the attached roof piece. You can then take your final roof piece and set it in place. Once again, you will want to let these dry well before you start decorating. 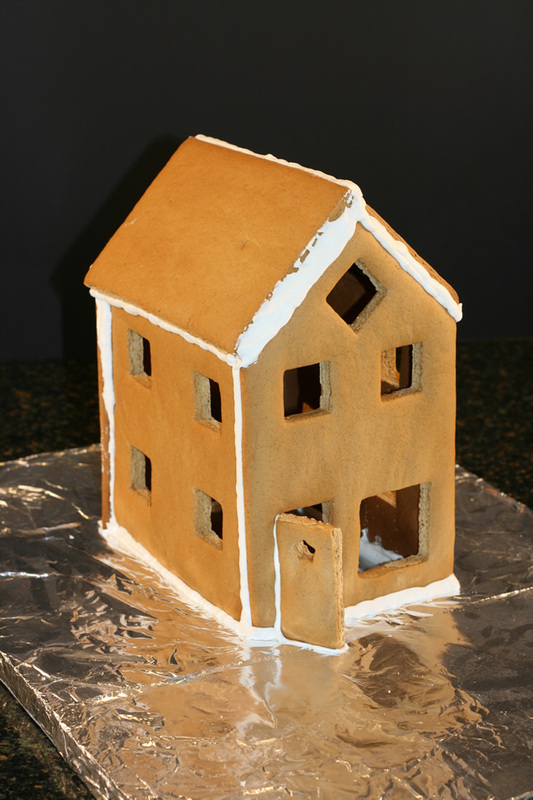 When your house is all constructed and ready to decorate, it will look something like this. This is a sample house from some gingerbread recipe testing I did. You can use your decorating bag to fill in any areas that you think need a little extra icing. Now you are ready to go! 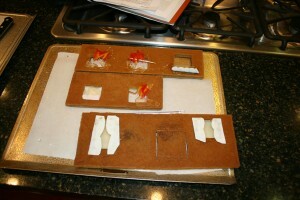 Here is a look at some of the different things I did on my last gingerbread house. Hopefully these ideas will get your mind inspired. 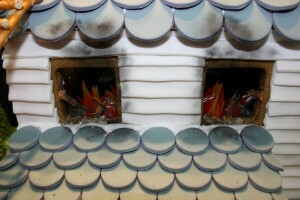 The windows are made with Isomalt, a sugar substitute. 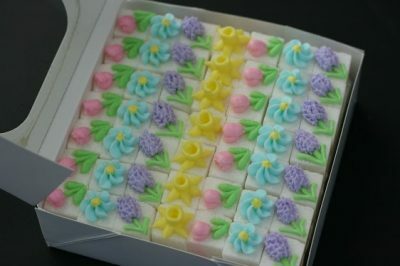 I melted it and poured it into the windows after they were baked.For the broken windows I poured the Isomalt onto parchment paper and let it cool then broke it into pieces and attached broken pieces to the back of the walls with piping gel . For the curtains I bought a piece of edible paper from my local grocery store then used edible markers to draw curtains. I cut them out and attached them to the back of the walls with piping gel. For the flames I cut up strips of fruit roll ups and attached them to the back of the walls. I used toothpicks to support them while they dried. Because I wanted the flames to light up only in the upper rooms, I put a flat roof on the bottom level and constructed the top level above it. This allowed me to attach the light fixture to the floor of the upper rooms. I also put in extra support walls on each level to make the house extra secure. The light fixture came from a battery operated flickering Christmas candle. The orange color and random flickering was the perfect affect for emulating fire. 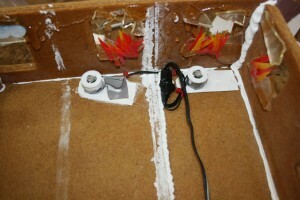 My husband removed the upper covering and the candle base, taped wire leads to the appropriate locations on the power board, then connected them to the power. 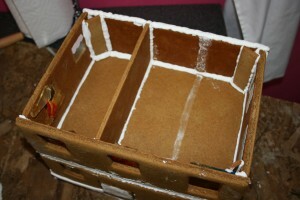 I then attached the assembly and wiring with icing to secure them in place and hide the wiring inside the house. The cord came out the back of the house, in between the two levels. Once everything was in place on the top floor I added the roof using the same technique as I did for the bottom floors and also added more supports to keep it secure. 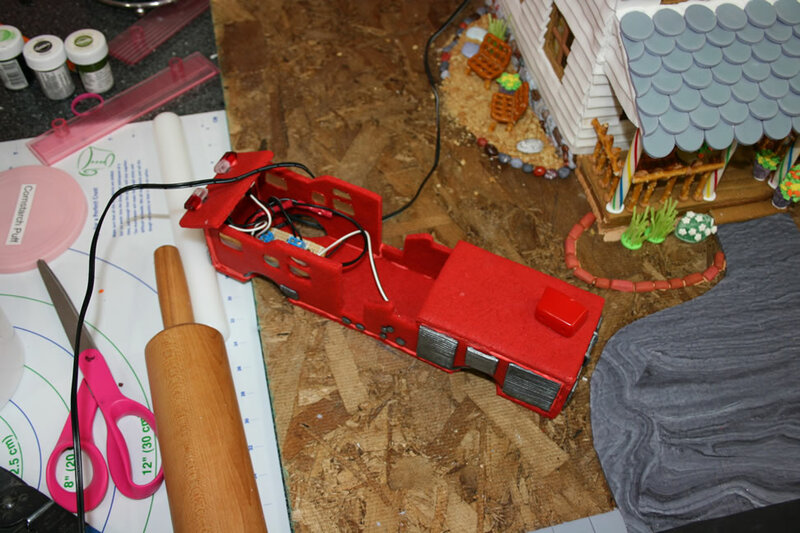 The lighting unit for the fire truck came from a toy fire truck I bought at Walmart. I tore it apart, had my brother rewire a couple of things for me and then attached it to the inside of the fire truck. 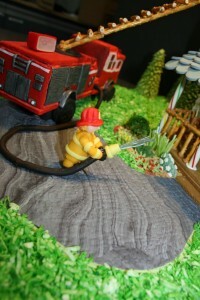 The cord came out the back side of truck and I attached it to the board with icing then covered it with the grass. 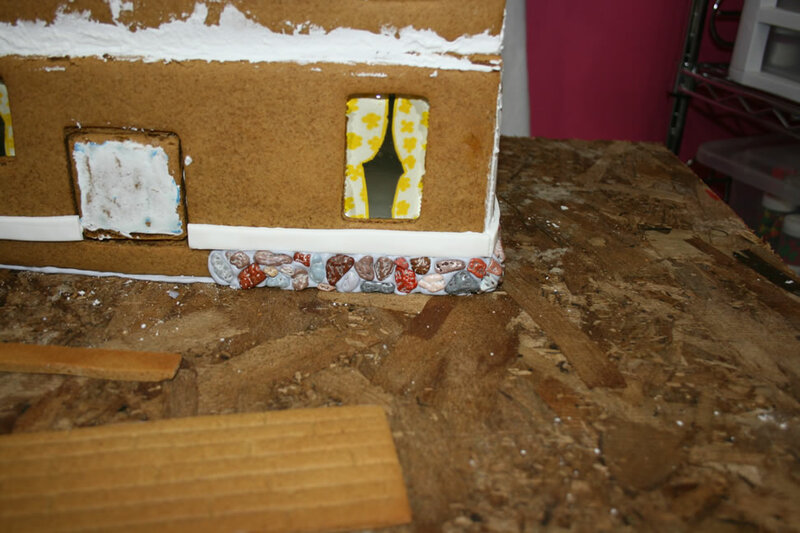 Candy rocks attached with gray icing to make the foundation of the house. 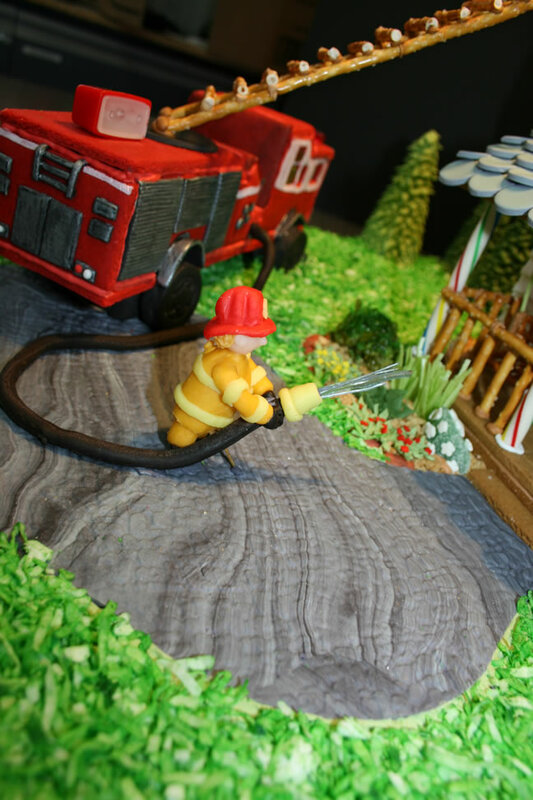 Pieces of colored Isomalt attached to the nozzle on the hose to look like water. Marbled fondant that I indented with a texture mat made the driveway. I died coconut with green food coloring to create the grass. For the tree and bushes I made rice cereal treats, only I used corn flakes in place of the rice cereal and added green food coloring. To give the effect of smoke, I let cotton candy dry over night (you have to do this because it will dry up on you and detach if you apply it fresh) and then dusted it with black petal dust and attached it to the roof with icing. 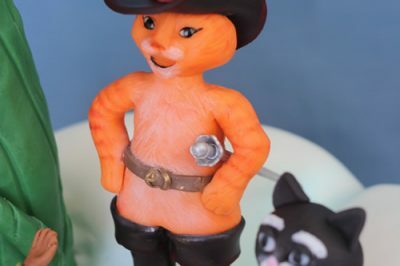 All the figures were sculpted out of modeling chocolate. 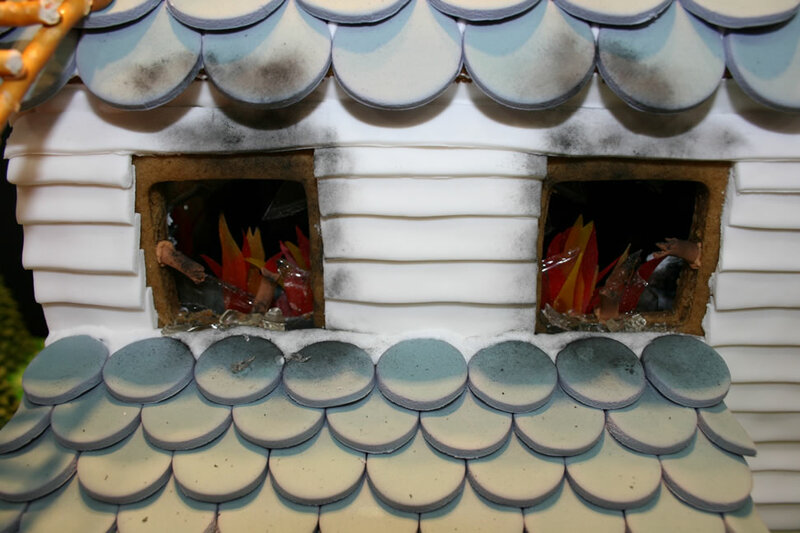 Black petal dust around the outside of the windows gave the look of soot from the fire staining the siding and roof. That should pretty much sum up my 2010 gingerbread house. I already have thoughts brewing in my head for this year’s competition. There is one thing left to do before we completely wrap this up though, it is time to dispose of the house. This year I am going to make it fun! Get ready for some flaming action in my next entry later this week. Until then, God bless and Sweet Dreams! How did you do the siding for the house and how many days do you suggest setting aside for the gingerbread process from start to finish. The siding was made with the icing. I believe I used a Wilton #45 basketweave tip to create that look. 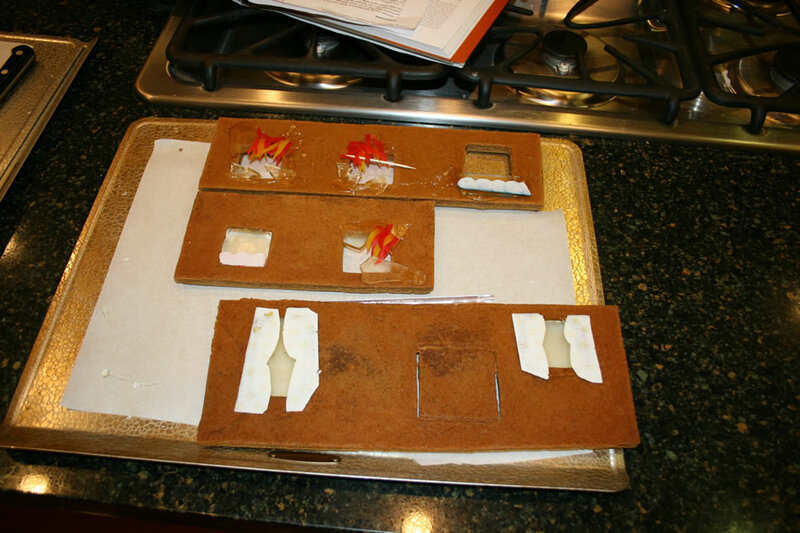 I added the siding on the walls before constructing them as it is much easier to add it when they are laying flat. As for timing…. 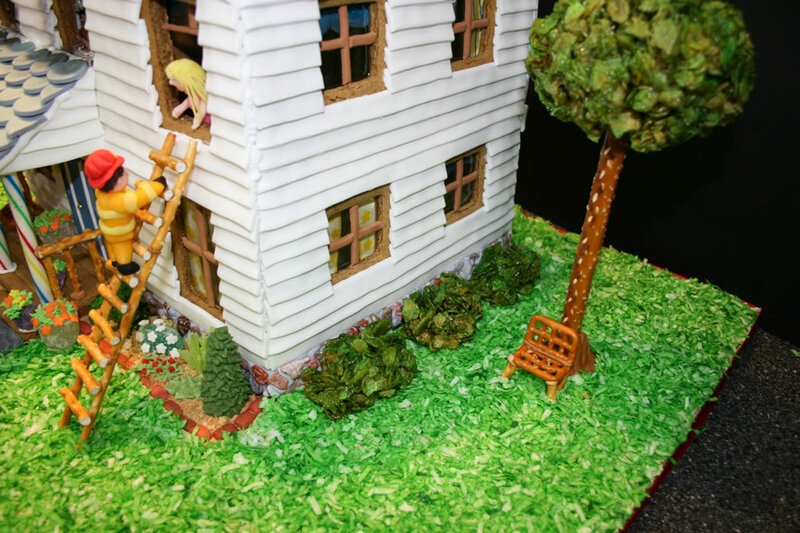 I usually spend a day baking, another day constructing the house and then several days decorating, depending on how much decorating I am doing and how much time I have to work on it each day. I always make sure to let the house sit for at least a full day after constructing it so that it is dry and secure before I start decorating. I hope that helps. Good luck to you! thanks Michelle, that did help. any decorating tips i should know about? Just have fun! 🙂 Let me know if you need anything else.